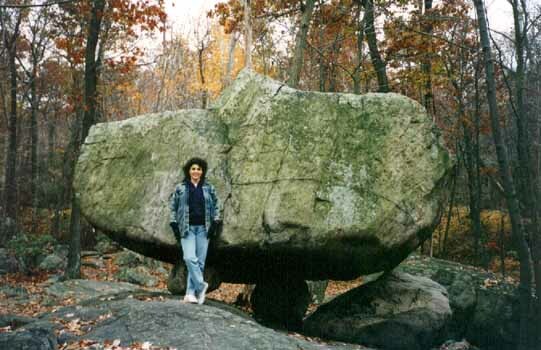 This was the year I explored Megalithic Sites in Upstate New York, New Jersey, Connecticut, and Vermont. 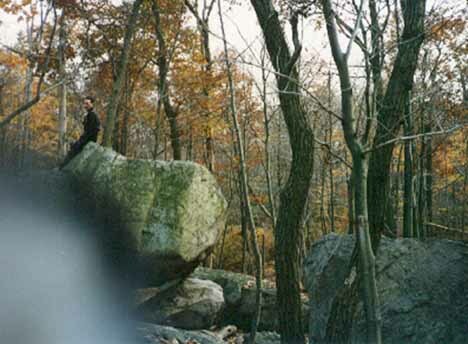 Though trips to the mountains had been part of my life since childhood, 1994 was the year I focused my attention on megalithic monuments eventually realized that the world was laced with stone markers that connect the journey of humanity with some sort of creation force - perhaps ancient aliens. 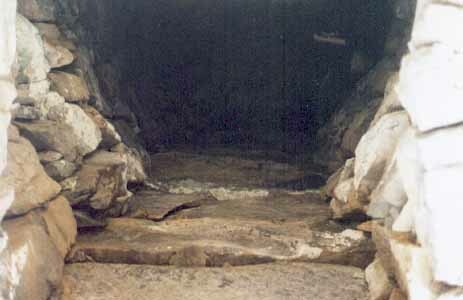 It was exactly 40 years since my 1954 alien encounter and 40 as we know is a key number. 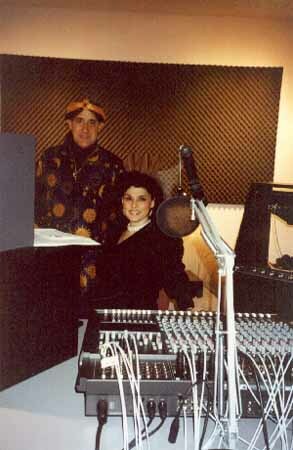 In 1994 I a friend named Marc helped me compile data for the first version of Crystalinks. 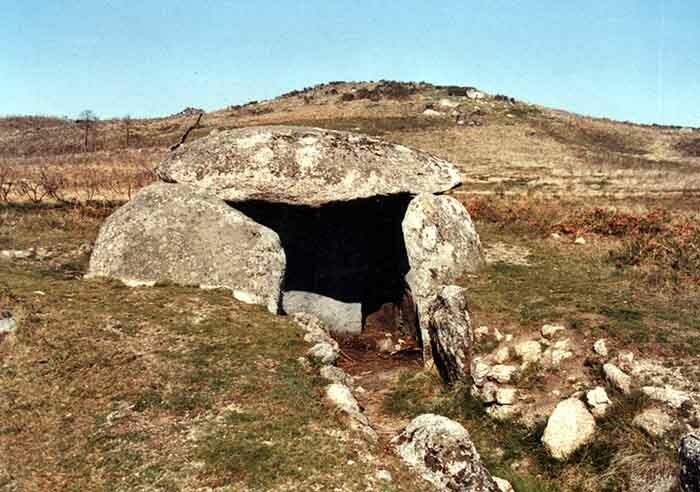 Along the way, Marc having explore megalithic sites in Europe and Australia, asked me to explore similar sites in my area. 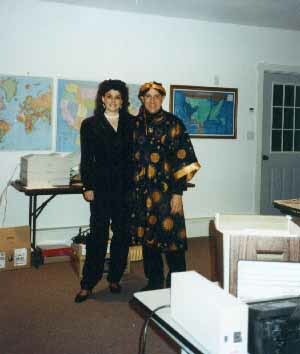 Later this helped me understand planetary grid points as a matrix connected by the patterns of creation called sacred geometry as well as their connection to ancient aliens. This image has nature spirits in it. You can feel their energies when you're in the woods. 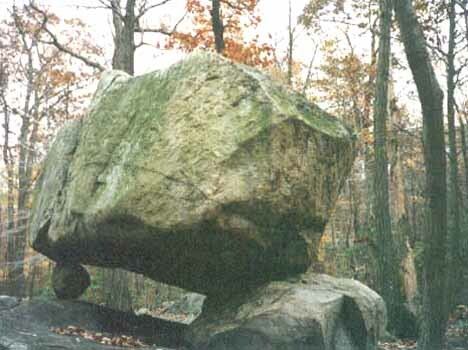 This is a balanced rock at Tripod Rock in Boonton, New Jersey. 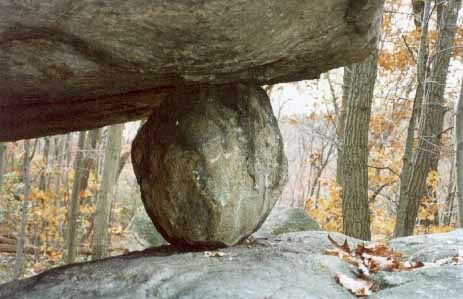 Tripod Rock is a very powerful place as it is a major grid point. 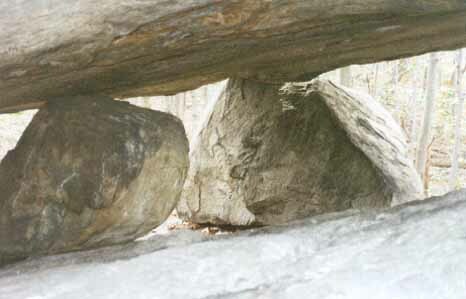 Marc went under this rock and reported high EM energies. 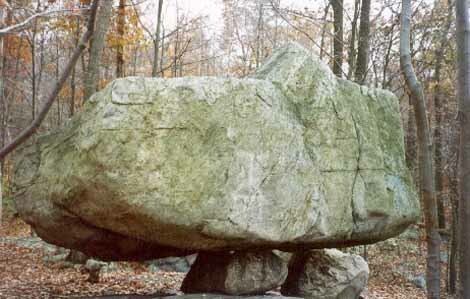 The energies on top of the rock were also very powerful. energies that align to specific power points on the Earth's Energy grid. to rest on these two tiny stones. 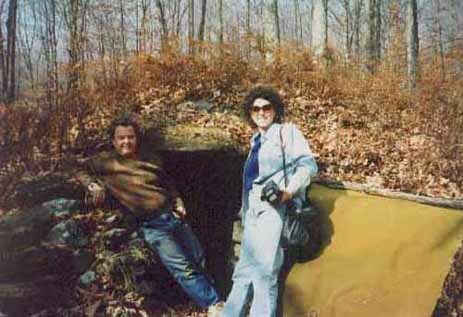 Marc and I also explored stone caves. 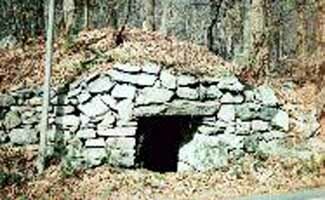 then were used as root cellars. 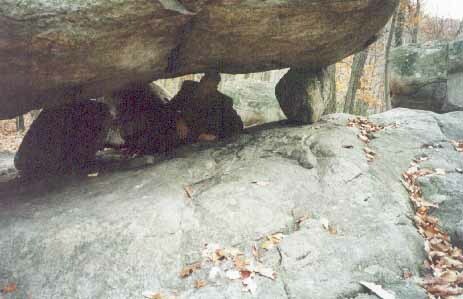 You can stand in some of the caves. Others have low ceilings so you have to bend over. 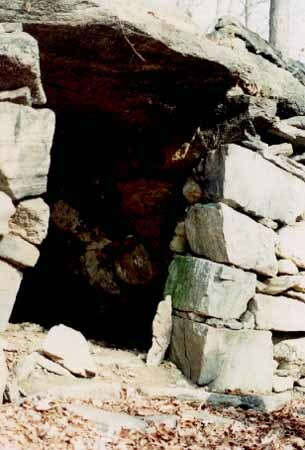 that I experienced in the pyramids of Egypt. Looking out at the sun. 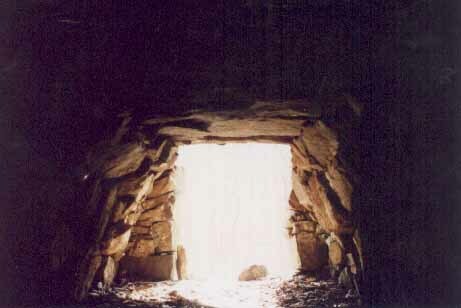 in the center of the entrance of the cave. home in Vermont to spend Halloween with his family and friends. 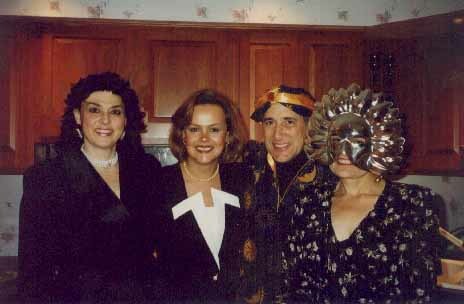 I traveled there with a metaphysical friend named Debbie. 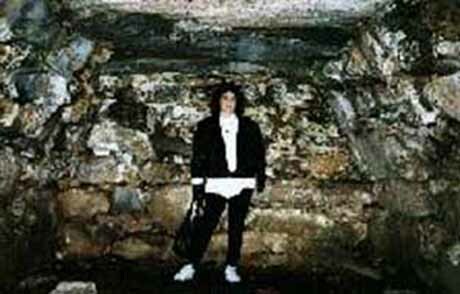 metaphysical subjects which included upcoming Earth changes. Somehow I didn't agree with all of the disastrous changes he foresaw. 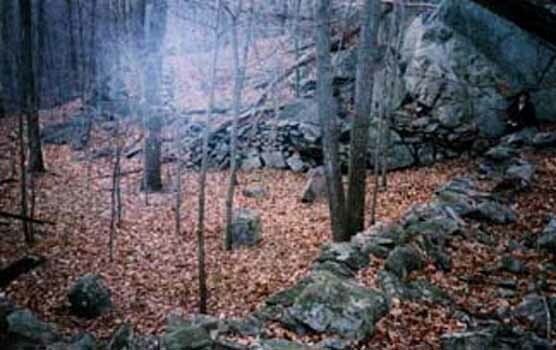 to investigate other megalithic sites in New England.